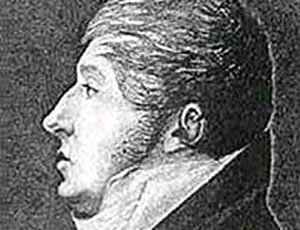 The passage of the Islands into French hands in 1798 meant the appointment of the first Maltese Commissioner, then acclaimed international composer, Nicolo Isouard. Nicolo Isouard, a young Maltese composer who subsequently became very famous in Napoleon’s Paris, became popular in 1790’s Malta, and when Napoleon expelled the Order of St. John in 1798 he was placed in charge of the theatre where his first opera, Casaciello Perseguitato da un Mago, had been performed in 1793. Nicolò Isouard was born in Zebbug, Malta in the year 1775 and died in Paris in 1818. Several historians through the years believed that he was of French origin due to the pronunciation of his surname and also due to his association with the Opera Comique of Paris. Isouard is considered one of the best Maltese composers of his times and also a successful one internationally. He clearly expressed his love for music since his childhood and although his parents sent him to France and Italy to be trained in military discipline and later on in commerce, the young Nicolo’ always found ways and means how to enhance his music studies. Isouard studied in Valletta with Francesco Azopardi, in Palermo with Giuseppe Amendola, and in Naples with Nicola Sala and Pietro Alessandro Guglielmi. From 1795 he was organist at St. John de Gerusalemme in Valletta and conductor at the church of the Order of Saint John, San Giovanni di Malta. As soon as he arrived in Malta from Italy in November of 1794, he was appointed as Maestro di Cappella of St.John’s Co-Cathedral by the Grand Master Manoel de Rohan. He had already carried out his duties of assistant organist since the age of 16. During the same year he composed his first opera ‘Avviso ai Maritati’ which was premiered in Florence. Back in Malta he continued work on other operas although his compositions were mainly sacred music on lyrics by Grand Master de Rohan. From the year 1796 until the occupation of the French in Malta, Isouard composed five operas amongst which were ‘I Due Avari’, ‘Rinaldo d’Asti’ and ‘Il Barbiere di Siviglia’. During the uprising of the Maltese against the French he remained locked with them inside the walls of Valletta city. He left Malta with the French and settled in Paris where he befriended with the famous poet and composer Hoffman and Rudolph Kreutzer. At first it was difficult for him to establish himself as a composer but in a short time the general public accepted his musical expressions and his popularity arose. He composed operas, songs and duets and other pieces like ‘La Paix’ on the occasion of The Treaty of Amiens. During the years 1805 and 1817 his popularity was at its peak in the Opera Comique Feydean with compositions like ‘Cendrillon’, ‘Joconde’ and ‘Jeannot et Colin’. In all Nicolo’ Isouard composed 42 operas of which several of them were translated in different languages like German, Russian, Spanish, Polish and English languages. When in 1817 Boieldieu returned from Russia, Isouard faced tough competition. As a matter of fact during the same year Boieldieu was preferred from Isouard to fulfill an important music vacancy. This annoyed him to an extent that he took to heavy drinking. This was to be the beginning of the end. Soon his health deteriorated and he died on the 23rd March 1818 at the age of 43. Isouard had two daughters, Sophie-Nicole (1809-1885), a composer of romances, and Annette-Julie (1814-1876), a pianist and composer. His brother Joseph (1794-1863) had a career as a singer and opera director before being named inspector of historic monuments in Rouen. Several professors, composers, poets and friends gave their last respects to Isouard in his funeral which was accompanied with funeral marches and the French National Guards. The hearse-cloth over his coffin was held by composers Cherubini and Berton and by professors Delrieu and Etienne. He was buried in Notre Dame des Victoires. A bust of the composer was placed on one of the facades of the Opera Comique and one of the main squares in Paris was given his name. The period of Nicolò Isouard at Teatru Manoel, however, proved to be a highly uneventful tenure, as the islands once again faced two years of civil strife, with the population’s sole cause being the liberation from Napoleonic Rule, culminating with the eventual “liberation” by the British in the first days of the 19th century. This same prosperity however rendered the theatre’s size inadequate, and following the sale of the building in 1861, crowds were drawn to the newly-finished, much larger Opera House. The theatre rapidly fell into total disuse, becoming a doss house for beggars. However, an 1873 fire that destroyed the Opera House brought a new lease of life to the now renamed Manoel Theatre, in tribute to its founder. Once again however, the reconstruction of the Opera House signified the end of the road for the Manoel, converted first into a dance hall and eventually a cinema.